Should have happened many years ago I reckon. 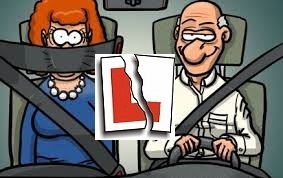 The time is getting near when learner drivers will be allowed on motorways with a qualified Approved Driving Instructor in a dual controlled car. I regard motorway driving as an important part of driving knowledge and experience which should always have been included in the learning to drive syllabus from the very beginning. Depending on where people are learning to drive this isn't always possible. The nearest motorway could be a long way off and not be reachable on a standard driving lesson. Here in Nottingham we have easy access to the M1 which gives every driving instructor the opportunity to teach the skills necessary for safe motorway driving. This has been a wasted opportunity for learner drivers and the sooner we can get on there the better. 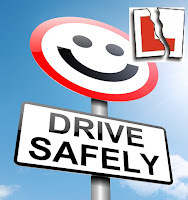 According to research younger drivers who are fearful of driving on the motorway are taking routes along back roads where statistically they are more likely to have an accident. This situation seems ridiculous to me. Surely Motorways are an integral part of teaching safe driving for life? Instead motorway driving is viewed as an add on, not something which is strictly necessary and certainly not given the importance it deserves. 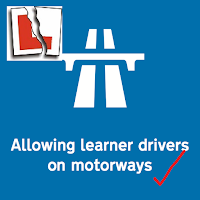 I like many other driving instructors offer motorway training on it's own as well as part of the Pass Plus scheme. The take up on this type of training is very low. 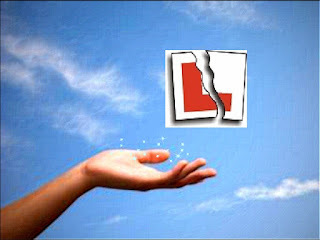 After paying a good amount for lessons it's hard to ask people to spend more after they have passed the L test. I hardly ever go out on the M1 with a learner. Those that do go out are always happy that they did and to be honest they pick it up pretty quickly. Unfortunately the scariest part comes right at the beginning. Joining the motorway requires good judgement of speed to match the vehicles already on there. Too slow and you can head into danger very quickly. Signalling early and spotting a potential gap are skills that transfer to other situations so motorway training can improve the general standard of driving as a whole. The main difference in traffic is the number of heavy goods vehicles on there moving at speed. This can be terrifying for the nervous driver with no experience. Once on there things start to settle down with lane changing being the main skill being practiced. Many new drivers may have very limited experience of this depending on where they live. I find the instinctive thing they do before changing lanes is to slow down which is entirely the wrong thing to do. An hour on the motorway and the problem is cleared up producing an altogether better quality driver. Leaving the motorway and the drive onto smaller roads brings into play the skill of speed control. After doing 70mph trying to do 30mph can be a bit painful. Again we are helping to produce a more aware and skilled driver by coaching learners in how to deal with this. 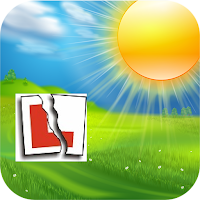 I think that learners will be in a much stronger position to pass the L test first time with the confidence they will have from being on a motorway. For a lot of us the motorway drive is a yearly event when we go on holiday. How much better would the traffic flow if all drivers got professional tuition before passing the test? It may help with those phantom traffic jams we all know and love. I personally can't wait to get out there with my learners. It will add interest to my working day and add some variation to my teaching. Happy motoring to you all and hope your roof sign doesn't blow off at high speed. Ha. There's been a lot of it recently. The weather plays an important part when teaching people to drive. It adds things to teach and provides greater challenge to both learners and driving instructors alike. lately we have experienced almost all weather conditions in only a few weeks. Lets take a look at the opportunities for teaching that this provides. A couple of weeks back we had a bit of a snow flurry. This is the weather type that makes me assess the abilities and constitution of the pupils I have booked in for that day. Some learners just do not like the idea of snow on driving lessons. They fear skidding on corners and develop a sudden mistrust of other drivers who they see as driving too fast for the conditions. One of the most dangerous things I find is the wind tunnel effect when driving into falling snow. The tendency for the eyes to focus on the snow and the Star Wars hyperspace effect really takes attention away from the important things like other vehicles and pedestrians. I remind the pupils to constantly focus on scanning for hazards and try to ignore the snow altogether. It can spook the learner something terrible. The chances of skidding on light snow are quite minimal at normal speeds. You really need ice on the road to skid. But we've had plenty of that recently. The misery starts before work getting that windscreen cleared and he cockpit warm enough for human habitation. Luckily I have a driveway with a gate so I put the car well back towards the house and leave it warming up. Sometimes I will leave it for 30 minutes then easily clear the ice from the windscreen. Warm water is used to clear the ice from the roof of the car so U can put the magnetic roof box on without fear of it slip sliding away. That would be no good at all. I always give the tyres a good visual check as well. Lessons from the past when I was young and let my tyres get bald and then wondering why I couldn't get around a corner. Be sure to check those inside edges. A nice chat about early braking before bends and allowing more room to stop pus the young learner more at ease. A couple of slates blew off the roof this week thanks to hurricane Doris. Of all the extreme weather conditions it's high winds that bother me most. I have visions of the roof box blowing off and flying through the windscreen of the car behind. Pupils don't like it because of the noise. Add a little rain to the mix and the noise can be terrible. Some pupils comment on how they can feel the car move in the wind when driving. They never felt the car being effected by wind as a passenger. A talk on maintaining a firm grip on the wheel while trying to keep as much safety space around the car would be a suitable topic for these conditions. High sided vehicles weaving about in the road are something to watch out for. Cyclists can have a bad time of it as well so give them plenty of room in case they swerve. Sometimes it seems like the rain will never stop. It has rained non stop for days recently. What is it about the windscreen wiper controls that pupils find so difficult? Push the stalk up one click seems an easy enough instruction but damned if they don't always put them on full speed. Then the rear wiper. Then turn them off and use the indicator stalk instead. Time to pull over for a full tutorial I think which would include turning the wipers off when the rain has stopped to prevent the awful dragging sound which they just don't seem to notice. The pull to the left when driving through large puddles can take some learners by surprise. I like to steady the wheel or gently move us to the right if need be to stop us drenching pedestrians with a bow wave. Apparently it constitutes assault to drench a pedestrian and they can take legal action. Now it looks like the weather is calming down a bit. Time for me to go out and wash the salt off the car ready for the coming week. Nothing I hate worse than a dirty driving school car. I would remind instructors that driving with your car so dirty that you can't see the rear number plate is highly illegal and sets a bad example to others. Time to get the bucket and sponge out. The Road to Driving Lessons can be a bumpy one. Most of the time a driving school runs smooth as silk. Regular pupils have regular lessons. They book the same time week after week so the days take some sort of shape and we all know where we are. More work and less stress is always a good thing. Sometimes though there are ripples in the pond which always seem to come at once. People give up on driving lessons for many reasons. So long as it's not because they have a problem with the instructor this can't be helped. Starting a new year is a bit of a turbulent time in driving instruction. Pupils from the previous year don't get back in contact and return to their lessons as they said they would. People pass the test in time for Christmas leading to a lot of new intake as we get into the new year. Many of whom are learning to drive as a new year's resolution, not because they really want to which can result in a lack of commitment. A couple of pupils have this week decided to give up after only a couple of lessons. They both paid in advance so it's refund time. I haven't actually lost money from this but it certainly feels like it as a few hundred pounds disappears from the business account. I really should charge some sort of admin fee for the time taken messing around with internet banking but that seems a bit tight. If I wasn't independent and had a school name to hide behind maybe I would. Dealing directly with people is a bit different though and I would hate to have a petty argument over a few pounds. Trying to convince people to carry on and give it a bit more time can be dodgy. They may resent it after a couple more bad lessons and decide that you are only interested in taking their money. I find it best just to refund the remaining lessons, wish them well and let them go. Learning to drive requires a certain focus and determination. Not something an instructor can provide and if they don't have it then success will be very hard to come by. I've also asked a pupil to leave recently, or rather refused them any more lessons due to extreme time wasting. Week after week they cancelled with one excuse or another. As they book for the week after I can't really fill the space and the income I lose soon adds up. They get good at cancelling just before the cancellation fee takes effect as well. After a couple of polite warnings it's time to wish them all the best and let them go. We can't afford to lose valuable lesson time on people who will not commit. I even had a pupil who was so obnoxious and negative on the first lesson I gave them the lesson for free just to get them out of the car and away down the road. After a few years in this game you can tell when it's going nowhere with certain people. I feared that this was the type of person who would post a bad review out of pure spite. If that happened the money I lost on the lesson would seem like nothing compared to the bad publicity and potential loss of business so on with the friendly face and in a gentle voice apologise that they are not satisfied and here's the lesson for free. This is the stuff you just don't get taught about in Instructor college. Keep it clean and professional leaving them no cause for complaint. The next pupil will hopefully be nicer and we're all back on track. Hopefully things will settle back down in the coming weeks and it'll be a rip roaring 2017.